Fundraiser for Miro Bajlo by Bill Abbate Jr. : Helping a Local 1 Plumber Brother in serious need. Helping a Local 1 Plumber Brother in serious need. Miro Bajlo, a Local 1 Plumber member since 2014, was unfortunately just diagnosed with STAGE 3 HODGKIN'S LYMPHOMA. He was just working for Par Plumbing when he received this horrific news. Miro began his very first round of chemotherapy to treat his cancer this week. Miro is 30 years of age and still in his Apprenticeship with Local 1. He and his wife have a 1-year old baby at home and his family is desperately trying to make ends meet. They have a very long and trying road ahead of them. I just had the pleasure of meeting Miro for the very first time this past Summer. I was extremely impressed with him. I liked him a lot. He's a fantastic guy, phenomenal father, excellent husband, and great friend to many people. He reached out to me privately to let me know about his tough road ahead. He was actually too proud to ask me for help. This is the kind of person that I love to help. I begged him for his permission to allow me to set up a Gofundme campaign to benefit his family during this extreme time of need. Please consider a donation to help out a fellow Local 1 Union family in serious need. This is the Holiday season. It's the perfect time to give to someone less fortunate than you. Please do the right thing here for this young family. Thank you. Posted by Bill Abbate Jr. Happy, healthy, and most prosperous New Year to everyone and their family members and friends who donated to this campaign. 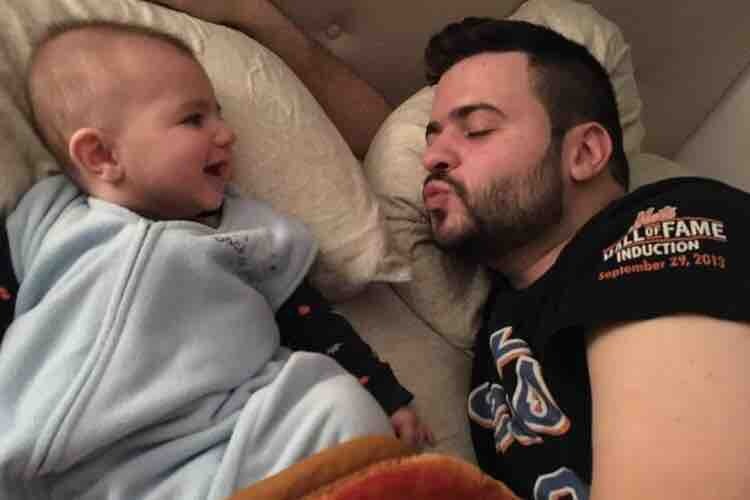 This will be the final push to hit our goal of $100,000 to help this young Bajlo family during this very difficult and trying time in their lives. Please continue to share this campaign on Facebook and Instagram. Every share, email, text message, etc helps the cause. Thank you again for all of your assistance with this joint effort. God bless you all and let’s pray that Miro can get healthy again and beat this horrible disease. This campaign has not been able to receive donations for the last week because Gofundme was experiencing a technical problem. It’s now back up. Please continue sharing on Facebook and Instagram and let’s get the word out to help this family. It’s the Season of Giving. Thank you !! Wow, truly amazing what we all have jointly accomplished for Miro and his family. We have nearly attained our goal within 3 days time. Please keep sharing on Facebook and Instagram and let's get this campaign finished up in style. Thank you again for all of your support. Happy Holidays to all !! I just set Miro and his wife up as the ONLY beneficiaries who can withdraw funds from this campaign. Thank you again for the outpouring of love and financial assistance for this wonderful family during this most difficult time in their lives. May God bless all of us.